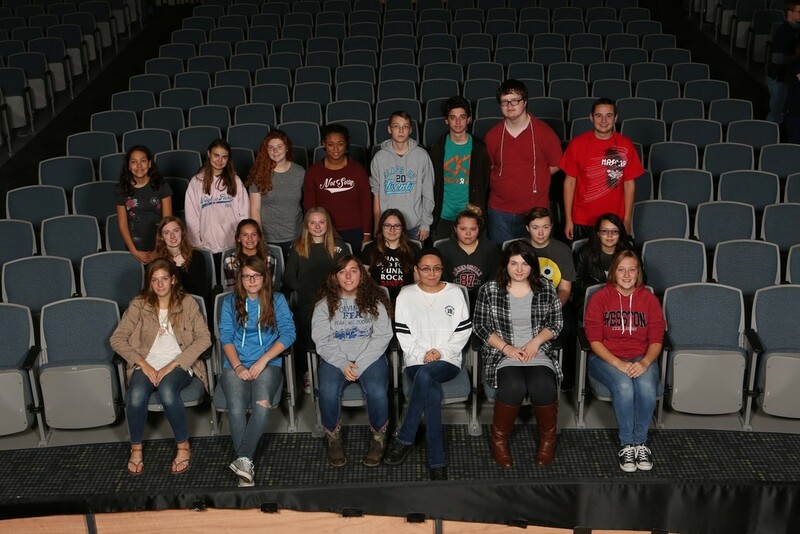 A dozen OHS students read seven books, chosen by them from the list of Abe Award nominated books, which is a program put together by the Illinois School Library Media Association, as members of the OHS Book Club founded by Librarian Mrs. Holmes. The Rest of Us Just Live Here by Patrick Ness was the favorite among students and Salt to the Sea by Ruta Sepetys. Other books read included Exit, Pursued by a Bear by E.K. Johnston, Shadowshaper by Daniel Jose Older, These Shallow Graves by Jennifer Donnelly, To All the Boys I Loved Before by Jenny Han, and Denton Little’s Deathdate by Lance Rubin. Book Club met on the first and last Fridays of the month during advisory and around 3:00 PM for Bloomington Area Career Center students. The club read a new book each month. Rebekah also enjoys the new Axis360 audio and e-book app. “It’s very useful when you don’t have to put books on hold but books on hold take a long time to get to you. I have been waiting on an audio book for over two months,” said Magee. Sophomore Katrina Hoeback also enjoys Book Club. “Book Club is really fun but we need more members,” said Hoeback. Katrina usually prefers hard copies of books but will also use Axis360. “I like it and will probably use it this summer because e-books are cheaper than buying hard copies and in the summer I am broke,” said Hoeback. Book Club seems really fun and is a great way to get involved. Axis360 will allow Book Club members to continue their love of reading this summer.